For the centenary of the end of WW1 our volunteers have been gathering information about the names of people listed on the Oliver's Mount war memorial. 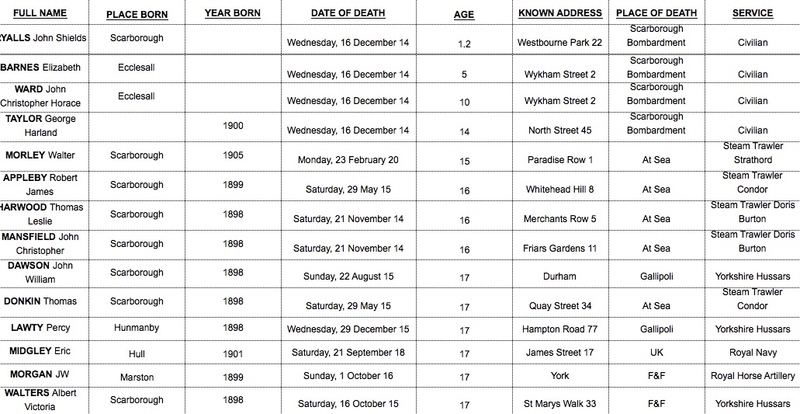 We have digitised this and produced the following charts showing the youngest killed, the eldest and the age range spread. Further below you will see a list of the most common streets they were living in. 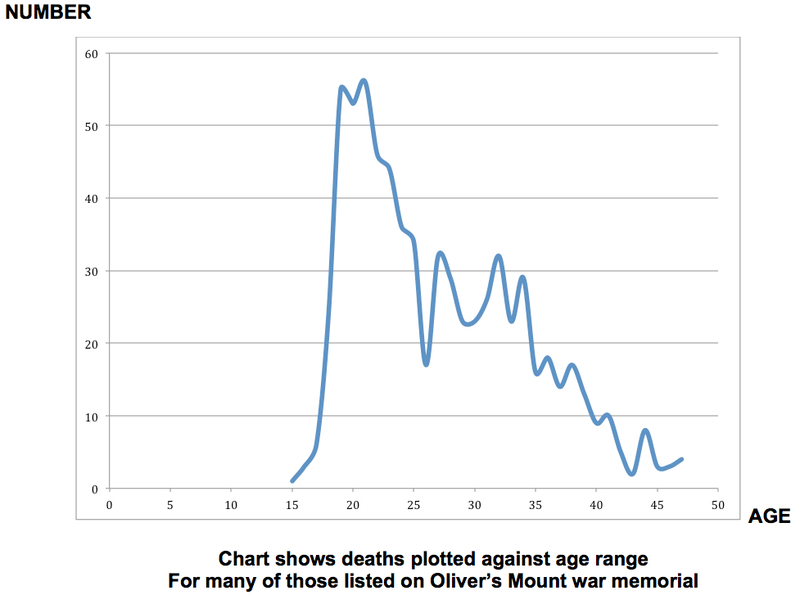 There are 841 names listed on the World War One Oliver’s Mount war memorial. 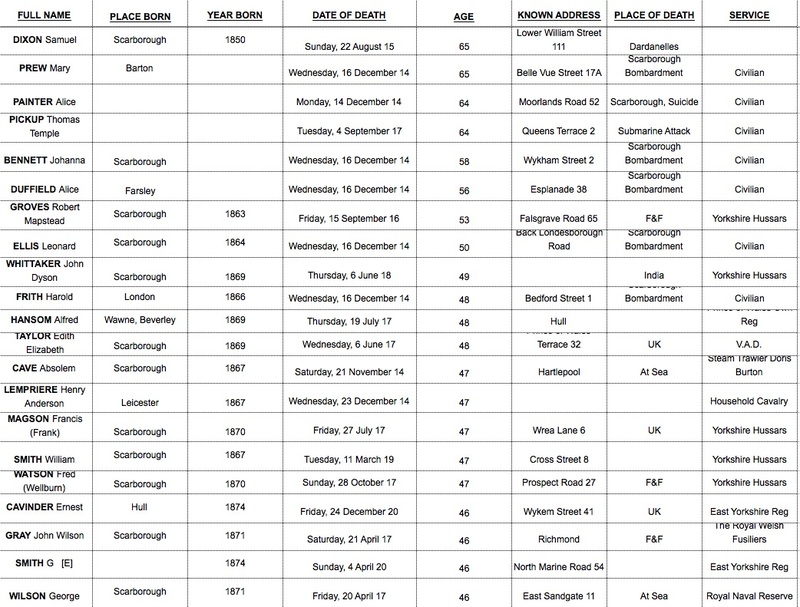 Below we show a list of roads where each was listed as resident. Here we show just the top listings for each location. It gives us an indication that many soldiers came from working class families and areas.